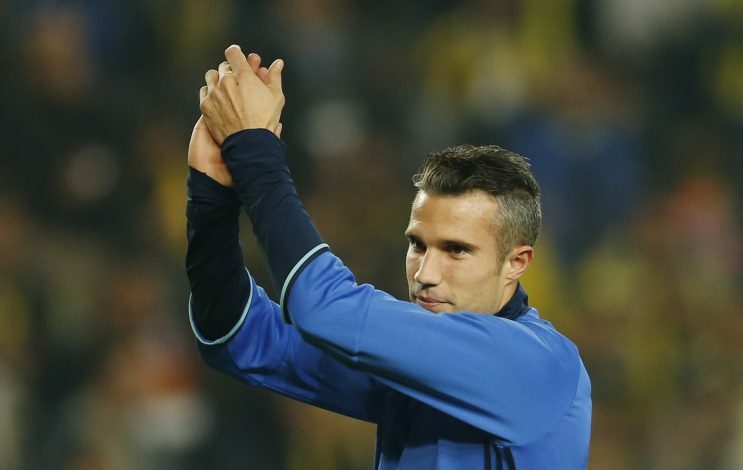 Fenerbahce have confirmed that Robin van Persie’s eye injury is not serious, and that he is in a stable condition. Van Persie started the clash against Akhisar Belediyespor in the Turkish Super Lig on Sunday. He opened the scoring, but was forced off after just 40 minutes of the encounter after sustaining a nasty eye injury. The Dutchman was taken off the field on a stretcher, but there were fears that the injury was more serious than first thought, and he was rushed to the hospital in an ambulance. Rumours started circulating around Twitter that the 33-year-old might never be able to see clearly from the injured eye ever again, as van Persie’s eye was heavily bandaged when he left the field. Blood was also seen coming through the bandage. However, Fenerbahce have confirmed that the striker only suffered a torn eyelid, and nothing more. “He received a blow to the eye and suffered a torn eyelid and bleeding,” club doctor Burak Kunduracıogl said. “After the first intervention, we sent an ophthalmologist to the hospital to assess him.